is an international network of folklorists, promoting scientific contacts between researchers, publication work and research training. In striving to meet its objectives, Folklore Fellows invites outstanding and active researchers from across the globe to become members. Folklore Fellows operates under the auspices of the Finnish Academy of Science and Letters. 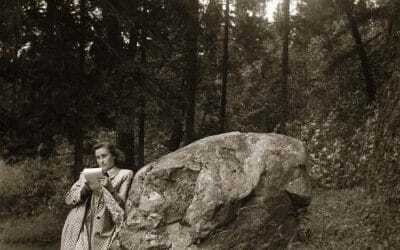 The membership forms an editorial advisory body on the Academy’s Folklore Fellows’ Communications series, and participates in organising the research courses of the Folklore Fellows’ Summer School. The activities of the Folklore Fellows are related in the Folklore Fellows’ Network bulletin. and keep up to date with the Folklore Fellows’ publications! FFC 315 Visions and Traditions. Eds. Lauri Harvilahti, Audun Kjus, Clíona O’Carrol and Rita Treija. 2018. Breaking news: The American Folklore Society's Archives & Libraries Section has awarded "Visions and Traditions. 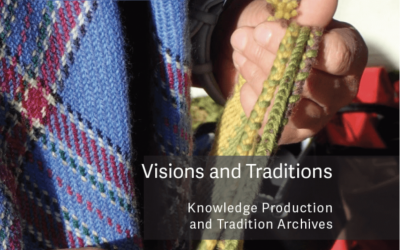 Knowledge Production and Tradition Archives" (eds. Lauri Harvilahti, Audun Kjus, Clíona O'Carrol, Suzanne Österlund-Pötzsch, Fredrik Skott, and Rita Treija) with the 2018 Brenda McCallum Prize! "Committee members -- saw the work as propelling folklore archives into the modern era of disciplinary shifts by claiming a firm foothold in academic conversations accessible to archivists, folklorists, and folklore-archivists." 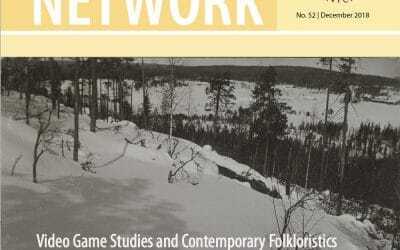 Issue 52 of the Folklore Fellows' Network is out. Read the editorial farewell of prof. emer. Pekka Hakamies, learn about video game studies from Dr. Jukka Vahlo, and get first impressions of the Folklore Fellows' Summer School of 2020, by prof. Pertti Anttonen! Dear Readers, we've been having problems with our email, and I don't know for how long – the problem was just brought to my attention this week. So if you have tried to contact us via "secretary (at) folklorefellows . fi", the emain has unfortunately not reached us. If you'd like to receive our email-newsletter and haven't subscribed to it yet, please do! There's one more to come this year. Soon.